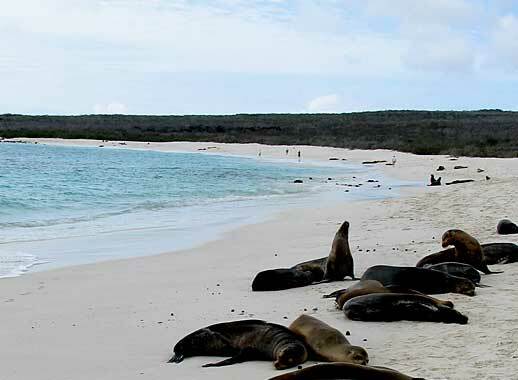 This land-based holiday is a good alternative to a Galapagos cruise. You have all the comforts of the hotel plus a range of guided tours taking in several islands as well as Santa Cruz. 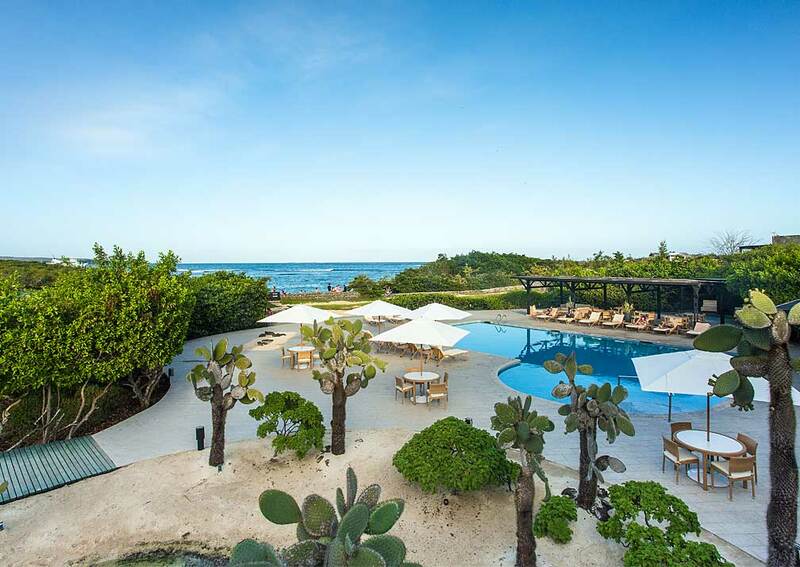 Enjoy all the facilities of Finch Bay Eco Hotel just across the bay from Puerto Ayora town on the island of Santa Cruz, and take advantage of the many excursions and activities for a fun-packed week in the Galapagos Islands. 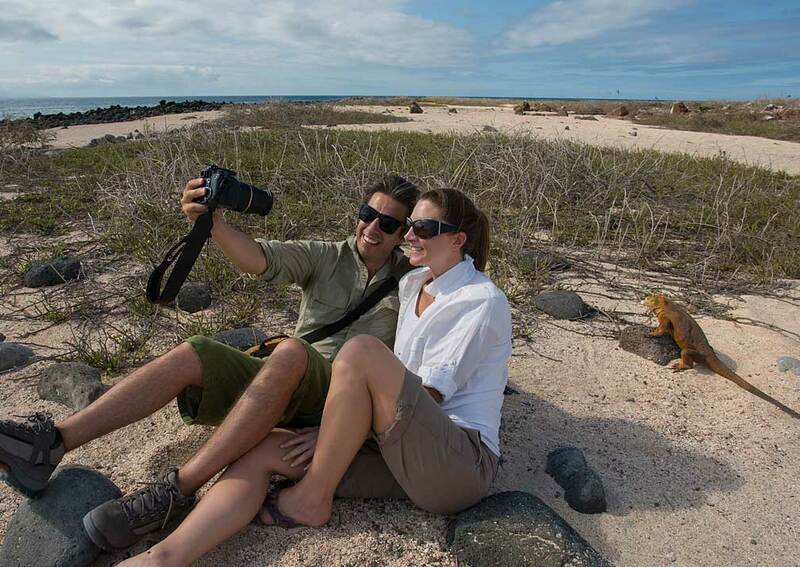 This land-based holiday is a good alternative to a Galapagos cruise. You have all the comforts of the hotel plus a range of guided tours taking in several islands as well as Santa Cruz. Most days include a certain amount of free time when you can take it easy of do some independent exploring. 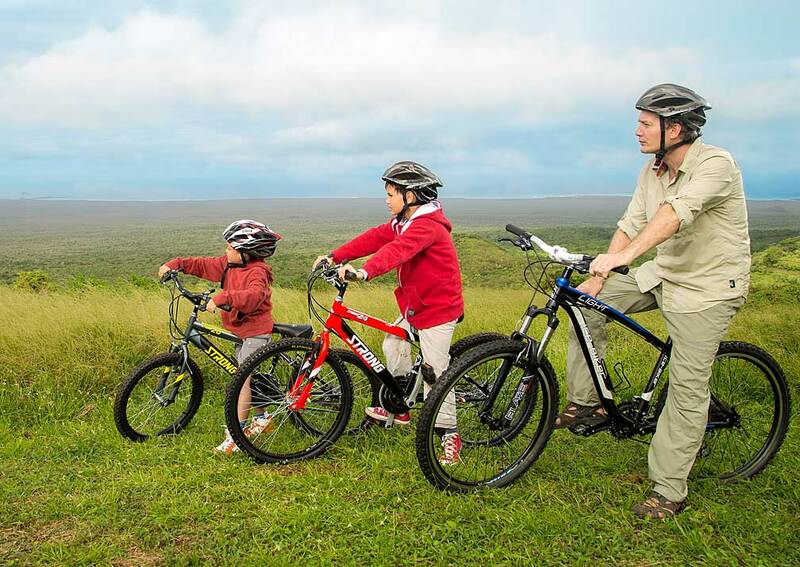 The itinerary has been designed to offer a mix of adventure and relaxation. Sailing on the hotel’s yacht you visit neighbouring islands to see the unique flora and fauna of the archipelago, led by an expert guide, and have opportunities to explore by kayak. On other days you take trips to other parts of Santa Cruz island. 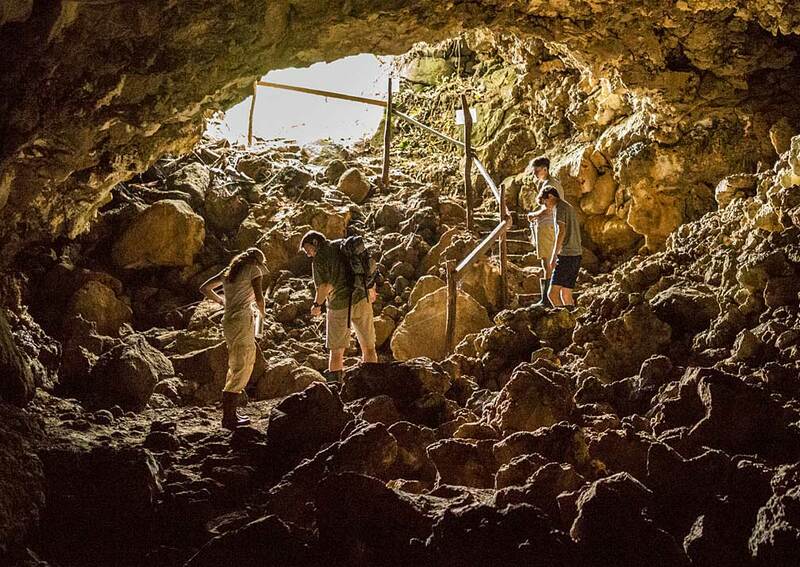 At the Charles Darwin Research Station you can learn about the islands’ natural history and find out about ongoing conservation projects which provides a real insight into life in the Galapagos. There’s also plenty of time to relax at the hotel, by the pool or on the beach, and savour delicious food at the restaurant. 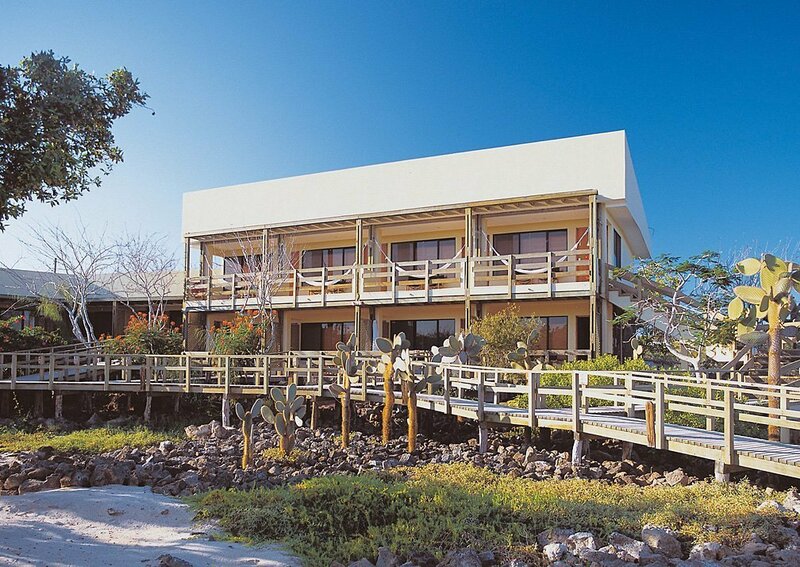 Having landed at Baltra in the Galapagos you're welcomed by Finch Bay's naturalist guide and taken to the hotel's yacht. 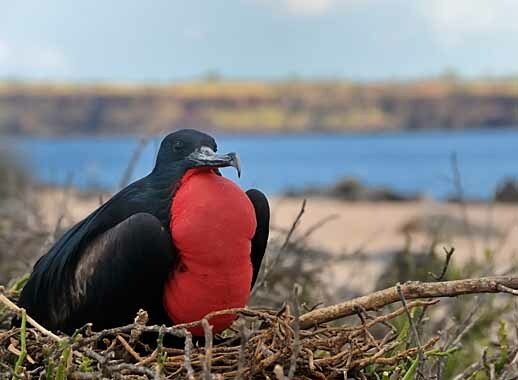 Enjoy lunch while sailing to the island of North Seymour, where you alight to follow your guide, stopping to watch sea lions and marine iguanas, maybe seeing pelicans swooping down to feed, and on to the largest colony of magnificent frigatebirds in the Galapagos. Quite an introduction to the wildlife of the islands! 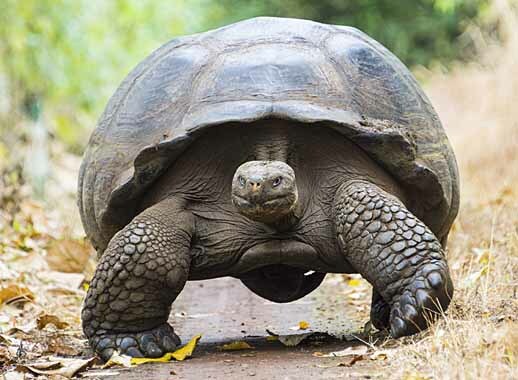 This morning you travel to the highlands of Santa Cruz to El Manzanillo which borders the giant tortoise reserve. This is a great place to observe these creatures in the wild as they feed on the abundant vegetation and take to muddy pools to cool themselves. 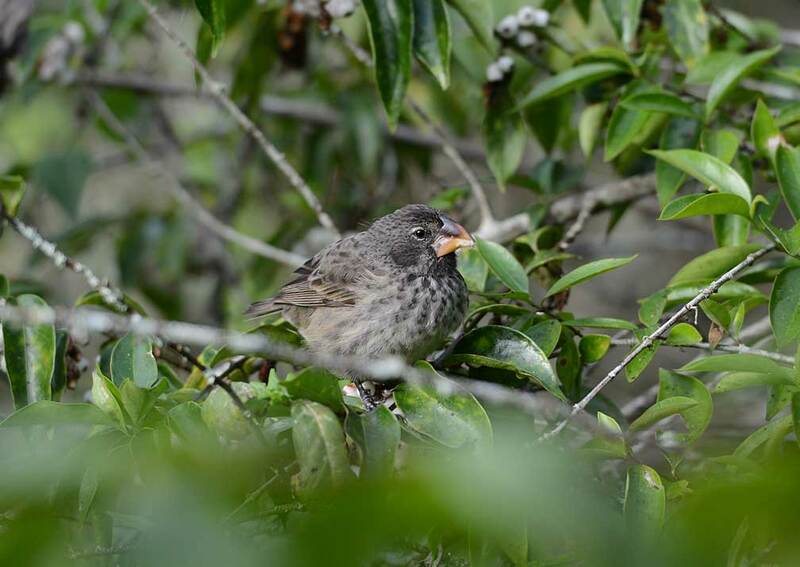 You're also likely to spot mockingbirds, flycatchers, finches, herons and ducks. You have lunch up in the highlands before touring an organic farm producing sugar, cocoa and coffee and enjoying tastings of the finished products. You then travel back to the hotel where you can spend the rest of the afternoon relaxing by the pool. Divine Bay on Santa Cruz is today's destination. 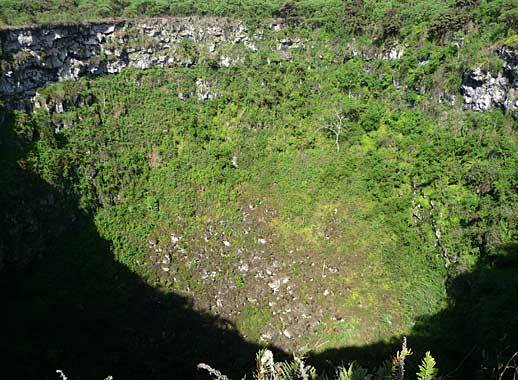 It is sheltered by volcanic reefs on one side and by mangroves on the other, and this creates a safe environment for wildlife. Herons are often seen in the skies, noddy terns nest in hollows in the cliffs, brown pelicans favour the mangroves and blue-footed boobies regard the scene from the clifftop. Exploring by boat or kayak you get close up views of turtles, rays, reef sharks and shoals of tropical fish. You also have the chance to go snorkelling. 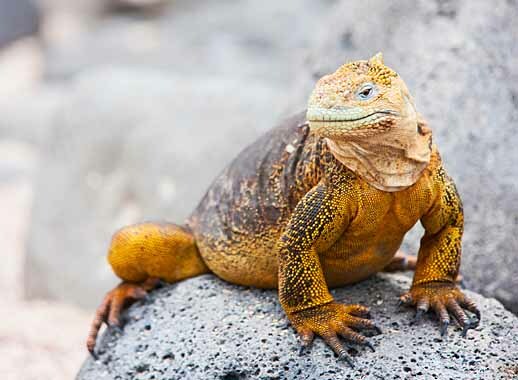 On dry land follow a short trail to Playa de los Perros on the south coast, where you may observe marine iguanas. There's a natural viewing platform where you can watch white-tipped reef sharks. You return to the hotel for lunch, and in the afternoon there's an optional visit the nearby Charles Darwin Research Station. 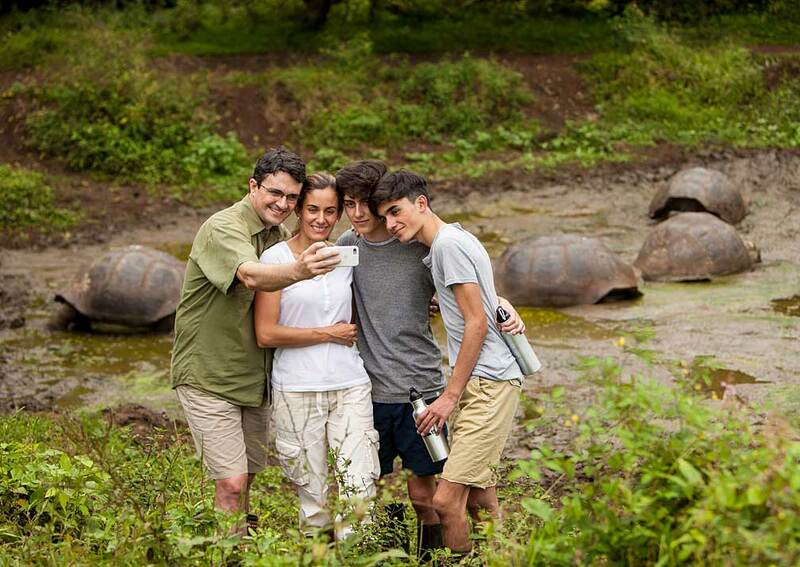 One of its main attractions is the giant tortoise breeding programme, where you witness tiny hatchlings and juveniles, looked after till they reach full maturity and can be released into the wild. Alternatively you can spend the afternoon at the hotel. You take to the water again today to visit the small island of South Plaza. Despite its size South Plaza is home to a wide range of flora and fauna including land iguanas, sea lions, Sally Lightfoot crabs, swallow-tailed gulls, prickly pear cacti and sesuvium, a succulent that changes colour from bright green to orange according to the season. Your trail leads up to the crest of the cliff where you can observe red-billed tropicbirds, blue-footed and Nazca boobies soaring on the strong air currents. You continue to an area that is home to a colony of bachelor sea lions, before returning to the vessel. Your next stop is at Punta Carrion on the north coast of Santa Cruz. This is an excellent snorkelling site with shallow coral reefs and mangroves to be explored, and you may be joined by fish and curious sea lions. Today's destination, Bartolome, is reached by a combination of of bus and boat. As you near the coast you see the sharp outline known as Pinnacle Rock, and closer you notice Galapagos penguins by its base, as well as dozing sea lions. Next you near a beautiful semi-circular beach, favoured by nesting turtles, where you can go snorkelling. At the next landing point you climb the steps and boardwalks that lead to the highest point on the island. From here you can see a fabulous view down to the bay, Pinnacle Rock, and across to Santiago Island. It's little surprise that this is one of the most photographed vistas in the entire archipelago. From here it's a return journey by land and water back to Finch Bay Hotel. You're closer to home today as you explore Tortuga Bay on Santa Cruz. After a leisurely breakfast you board a panga for the short ride to Puerto Ayora. From here you set out on foot to Tortuga Bay, a walk of about 2kms. You can take your time, enjoying the scenery and pausing to watch birds, finally arriving at what many people consider one of Ecuador's most beautiful beaches. 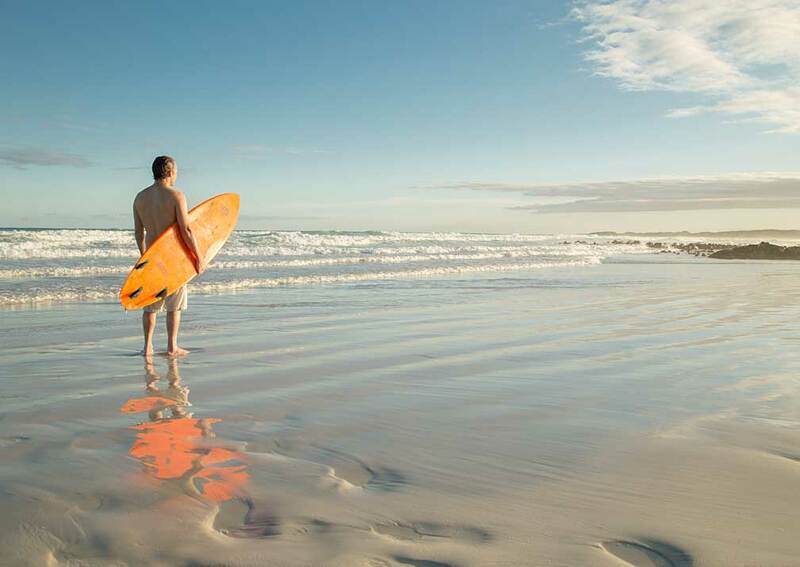 The white sand stretches for over a kilometre, lapped by the azure ocean water. 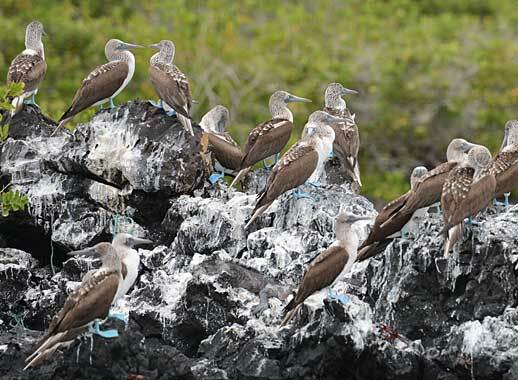 Here you can see shore birds and marine iguanas, and can take to the water in kayak in search of sharks and rays. 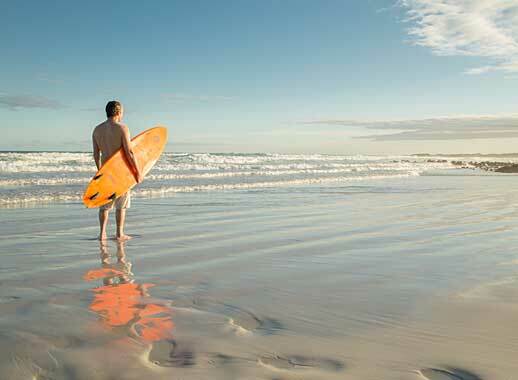 Alternatively you can test you balance and nerve with a surfing lesson. There's usually time for a refreshing swim before boarding the boat for the ride back to the hotel. You can have an easy afternoon, topping up your tan, relaxing in a hammock on your balcony and chatting with other guests. On the other hand you might want to take the opportunity to visit other sites on the island or explore independently by kayak. 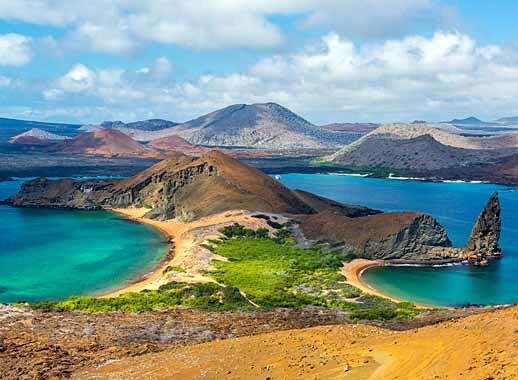 Includes: ​Return flights from mainland Ecuador to the Galapagos Islands, arrival and departure transfers, 7 nights twin share accommodation, hotel taxes, meals as specified, highlands tour, 5 days of yacht excursions or land excursions, visit to Charles Darwin Research Station, visit to Twin Pit Craters, use of snorkelling gear, use of hotel facilities. 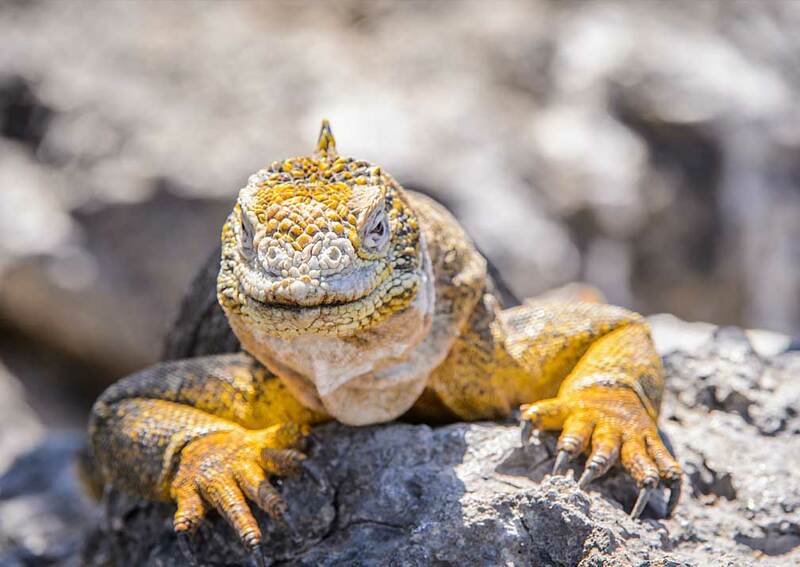 Excludes: International flights and taxes, visas, drinks, Transit Control Card for Galapagos US$20 pee person subject to change without notice, Galapagos National Park Fee, currently US$100 but liable to change and to be paid locally in US$, tips, items of a personal nature. Getting there: ​This holiday starts and ends on mainland Ecuador. Return flights from the UK to Quito cost from about £675, depending on season and availability. We normally book these for you. Departure dates: This is an 8 day package that starts and ends on a Monday and operates year round subject to availability. 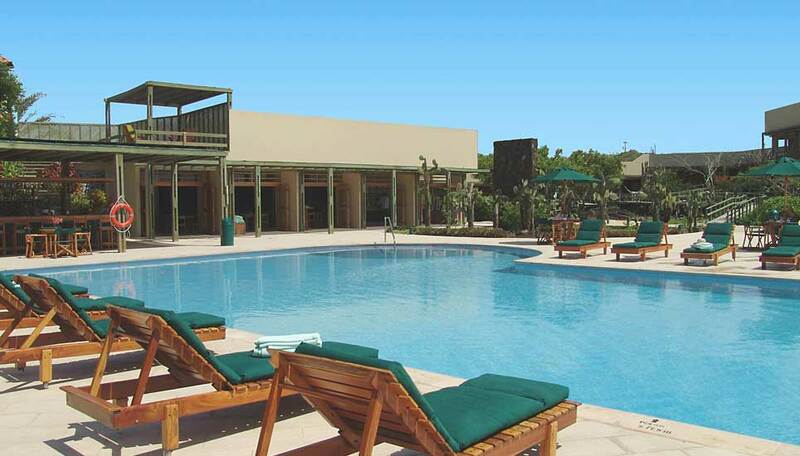 Situated on the opposite side of the bay from Puerto Ayora, the largest town in the Galapagos and site of the Charles Darwin Research Station, this hotel makes a great base for exploring Santa Cruz and nearby islands. Whether you stay in a garden view room (20.2 square metres) or ocean facing suite (32 square metres), air conditioning will keep you pleasantly cool and you’ll have comfy beds, black-out curtains and an en-suite bathroom as well as a private balcony with hammocks where you can relax. The hotel has a large swimming pool and deck overlooking the bay, a good place to unwind after island excursions, and the beach is just a few steps away. Indoors there is a lounge and a bar. Dining is a pleasure with dishes made from seasonal produce, much of which is grown in the hotel’s own vegetable garden, and most meals are served on the terrace in the fresh air and within sight of the ocean.